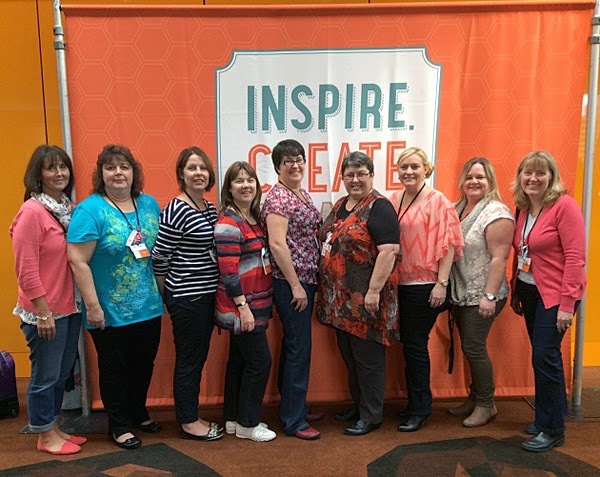 well many of the Just Add Ink team returned to their homes this week weary but inspired after a fabulous few days at the Stampin' Up South Pacific Convention. Here's a picture of the girls that made it to convention. 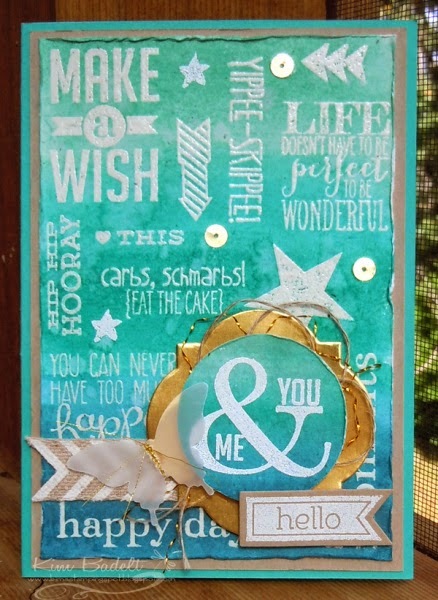 Another exciting event this week is that the challenge this week is our "Guest Designer"challenge. So, if you are interested, all you need do is play along with this weeks challenge! So just what is the challenge this week?? 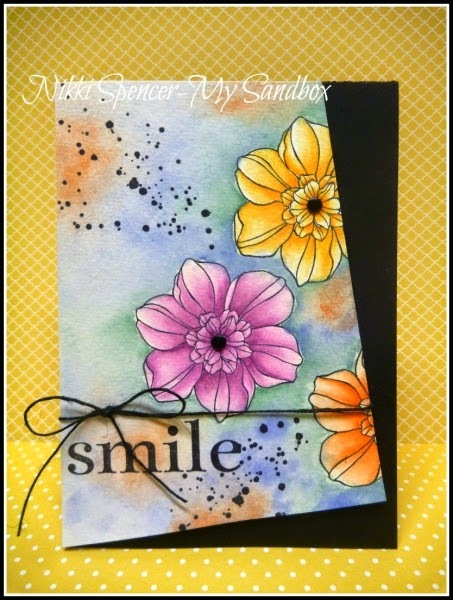 Well this week we want you to Just Add Watercolour. 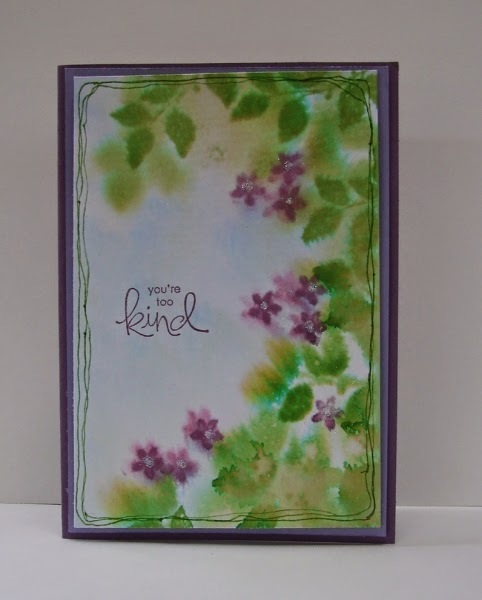 We hope you will break out your watercolour paper/techniques/ ideas and play along with us. 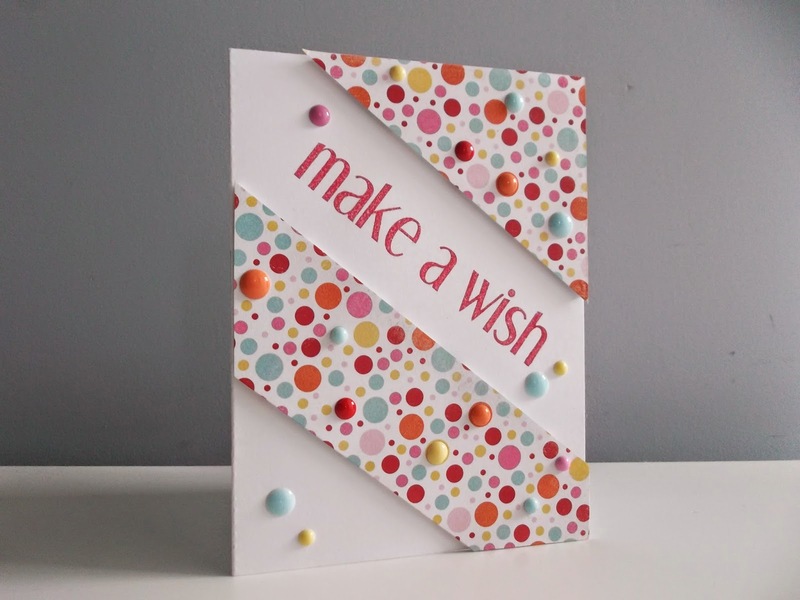 It was quite amazing to see the variation in the colour shades and card designs this week especially as they were all based on the same colour combination! The design team really enjoyed looking at them. However, we did have to decide on a winner and this week it was Anny. 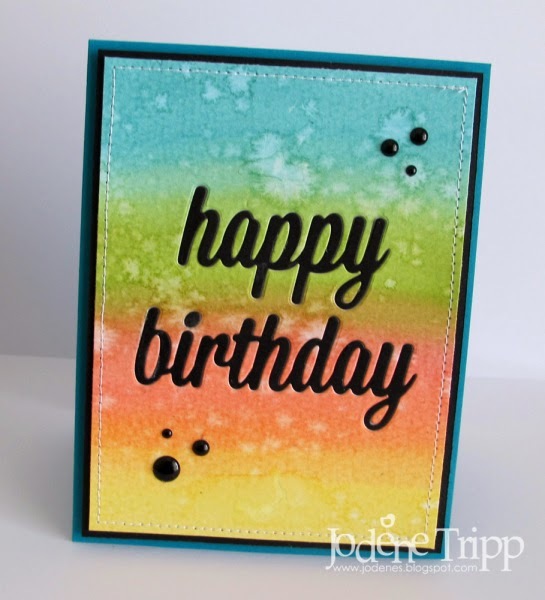 Great to see a masculine card using these colours, love the texture! 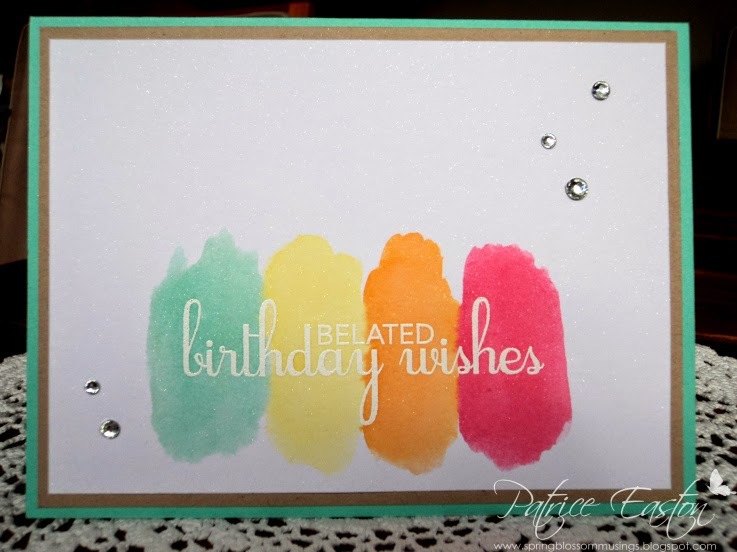 Just Add Ink #215 - Just add a colour combination! 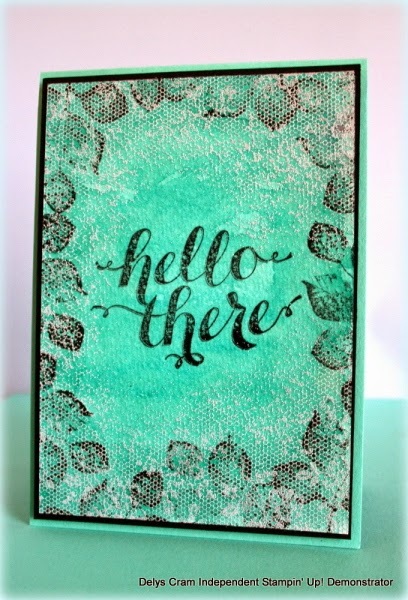 Welcome to the latest challenge at Just Add Ink. 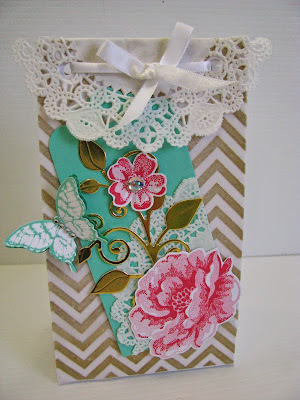 We know many of you are preparing for the Australian Stampin’ UP! Convention so this will give you a little more time to participate. 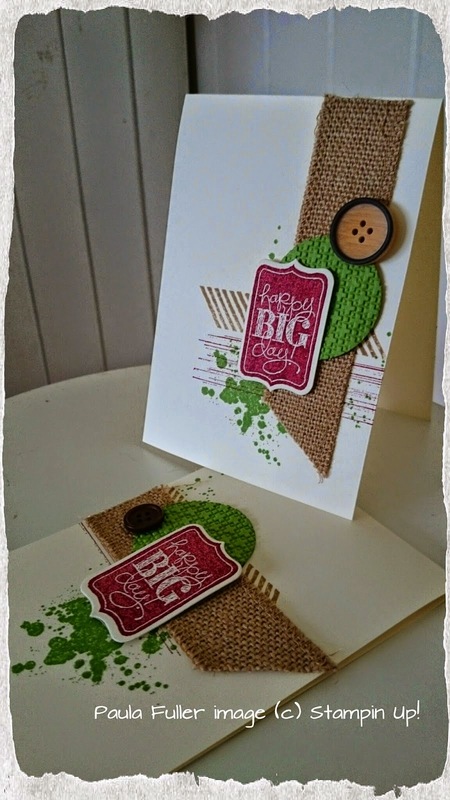 Mae's set out challenge for you and it's a brilliant colour combo - Cherry Cobbler, Baked Brown Sugar and Garden Green. 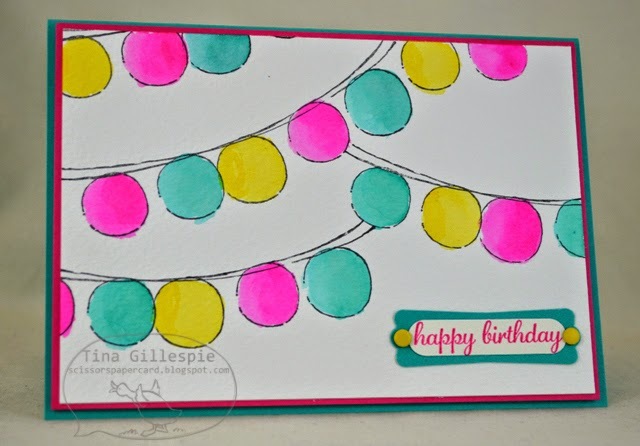 Now I must admit I don’t use these colours very often so I found this one to be quite challenging but it is called a challenge for a reason! 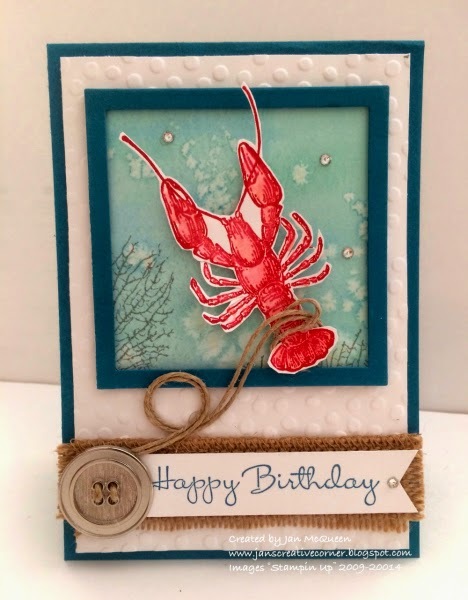 The colours do lend themselves to a Christmas card however as you’ll see below the design team have come up with a few other ways you can use them. Don’t forget you've got until 10pm AEST on 28 May to get your entries in. If you’re off to convention we hope you have lots of fun and don’t forget to stop and say Hi to us! 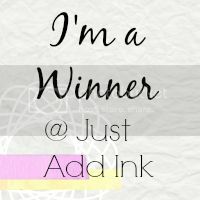 Just Add Ink #214 Winner! 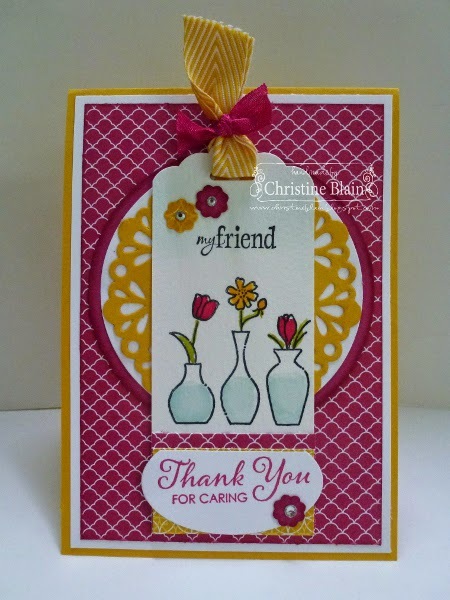 Kim has put a sketch together for you this week - it can be converted into a scrapbook page, used on a card or 3D project, either way we are looking forward to seeing what you create for us this week at Just Add Ink! 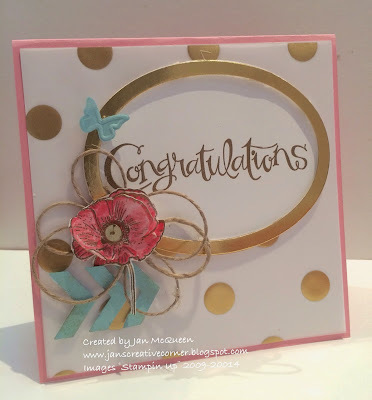 "Such a pretty card, clean and elegant...Love those gold polka dots"
"Really like the way that she's framed the sentiment so it really stands out"
Jan, as you are the Top Pick , you now have the opportunity to join us as a Guest Designer. 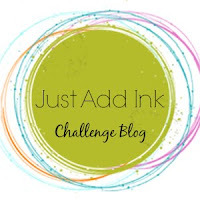 If you would like to be the Just Add Ink Guest Designer for the last challenge in May, please contact us on just-add-ink@hotmail.com and we will be in touch to discus the details with you. 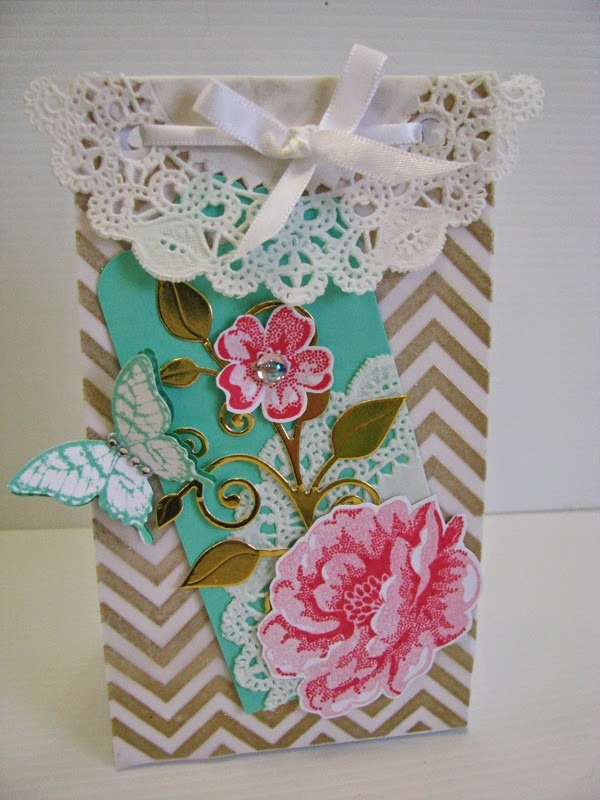 "Kerry's gift bag is so beautiful and so detailed! I wouldn't want to give it away!" 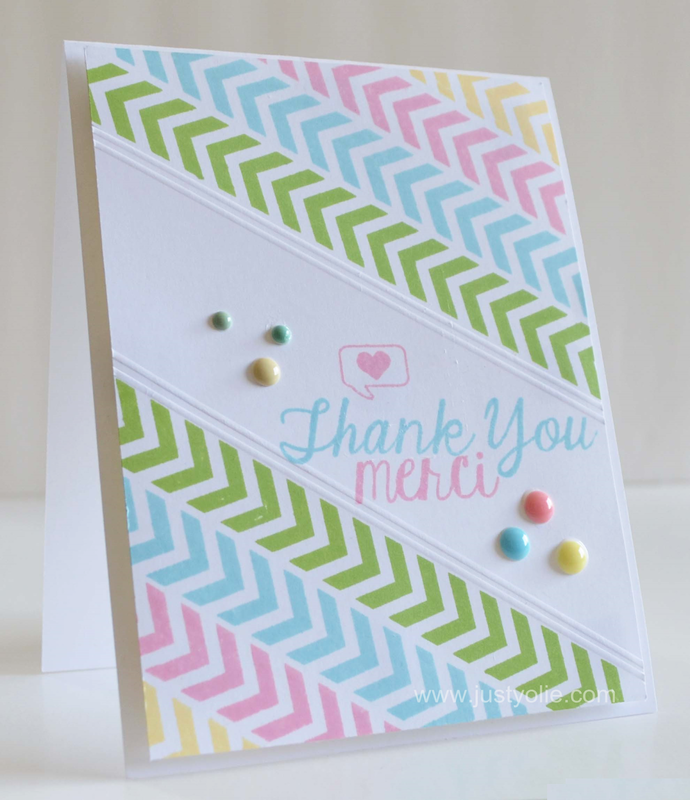 "Beautiful packaging with lovely pops of colour"
"Loving all the delicate details on the beautiful tag"
"Love the polka dot background and the use of velum!" 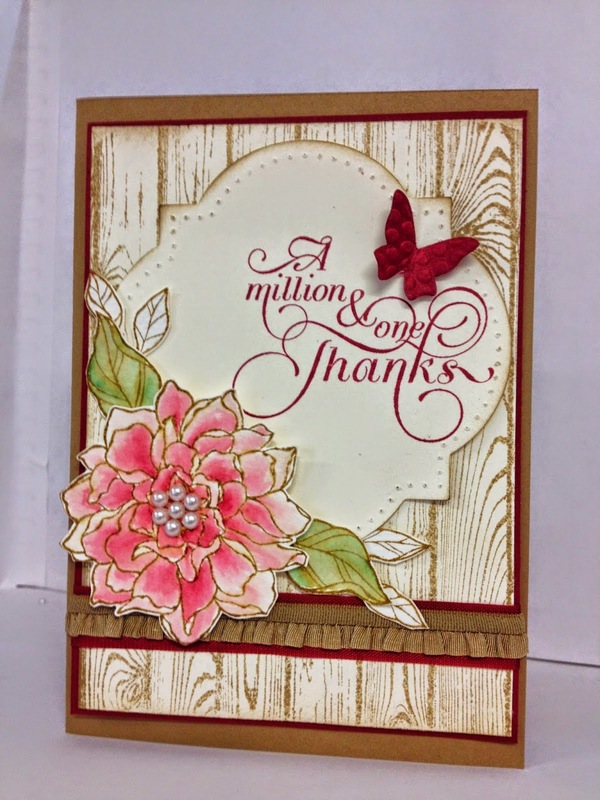 "Love the use of gold without being OTT. The dots are gorgeous"
"The gold-embossed dots, softened by vellum, look fabulous! I love the way the sentiment extends beyond the label"